Today being the tipping point between winter and spring, I thought to wake Poseidon Phytalmius from his slumber. This picture is illustrative of what my shrine to the plant-nourisher looks like in snow, but today is a bit different. At least 18 inches of snow have fallen since I went to sleep, and there was no evidence of the sleeping god under that thick blanket. Using the azalea and the slope of the land, I made my best approximation of where he was underneath, and poured him a libation of wine upon the snow. It was fluffy enough that I am sure some wine got to the ground, but deep enough that I haven’t a clue if it landed upon his face, or missed the mark completely. Such is the uncertainty and certainty of life. I cannot tell if my offering was received, but I do know that Phytalmius shall in time awaken, and the nourished buds shall again burst forth with life. I don’t even know if my own shall be long enough to see that day, but I’m certain that I am not needed for the cycle to again pass through this stage. 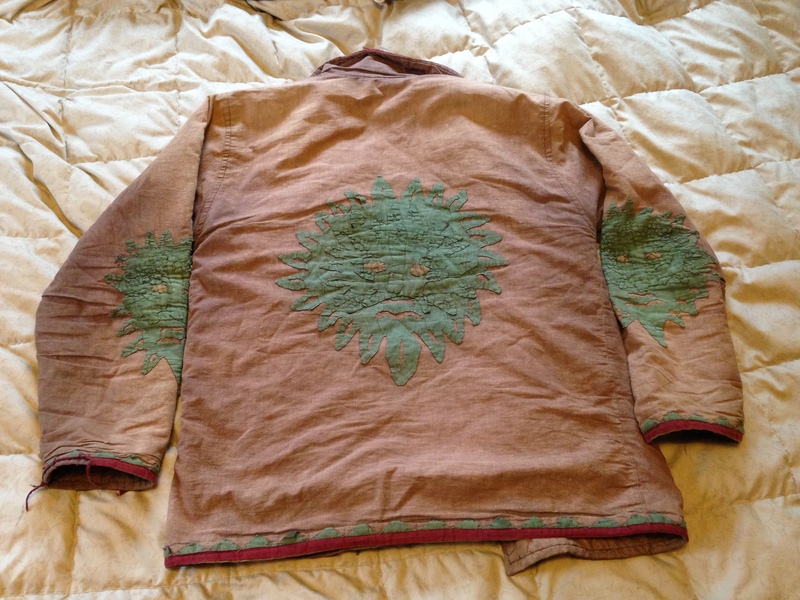 Badass green man jacket, front. I am no stranger to the Green Man. Indeed, I wear his jacket, or would if I could remember to get the zipper fixed. That’s why I was pretty excited to write about Poseidon Phytalmius, since I had no idea he had any meaningful link to green, growing things. Tumblr readers, you’re going to want to click through now, because my pics over here on WordPress are sweet today. The story until now: I excited by mythology as a child, but bored as a Roman Catholic. I but decided to try harder in my teens, and became a lector (reader) in my church. That routine didn’t survive the tumultuous transition into college life, but when I met real Pagans, my curiosity (“You mean they worship the Greek gods?”) also led me to explore all the established religions in town. After a time I identified as Pagan, the sort of Pagan that was drawn more to the beings of the forest than I was to the Wicca-styled rituals which were my only experience. I did rather enjoy drawing down Herne, though, and in time my path led me to a deeper relationship with the Green Man before I allowed my religion to lie fallow for a time. The theoi, having noticed that I hadn’t entirely forgotten them, eventually came calling, Poseidon tapped me, and here we are. Along the way, I’ve carried forth the lessons of my earlier forays into relationship with divine forces, and I have also picked up a few objects which remind me of the more profound experiences that I have had. 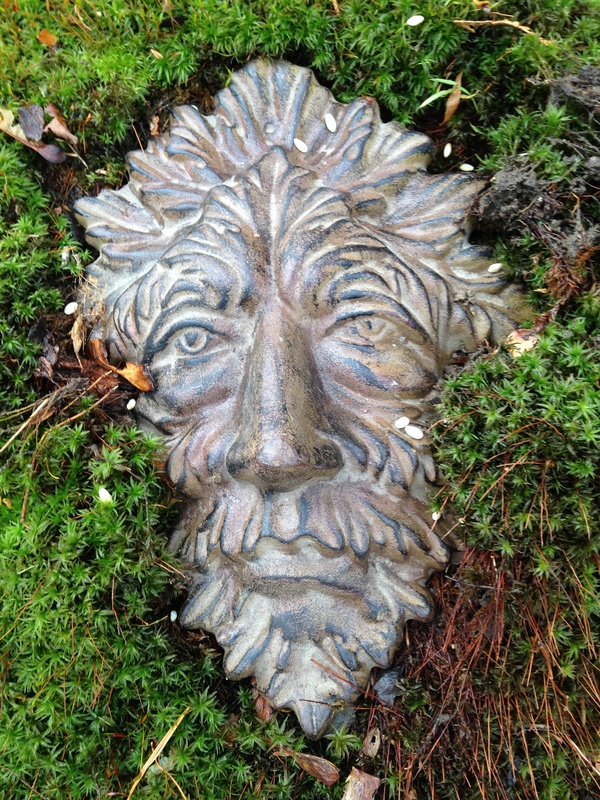 One of these is a iron Green Man face, which has sometimes hung on the front door, but is really too heavy for that spot. We’ve talked about mounting it above the mantle, but the bricks are covered with plaster, and that’s a lot of expertise which no one here possesses. My Hellenic practice has caused me to cultivate an interest in shrines, both inside and out, and I’ve created a surprising number given the amount of usable land around our home. In fact, one of them has never gotten a whole lot of use, because although I’ve been sure it’s a sacred spot, I haven’t really known who it was for. I’ve tried pouring libations to Pan there, but even with the massive patch of moss surrounding the small stone I erected, it didn’t ring quite true. 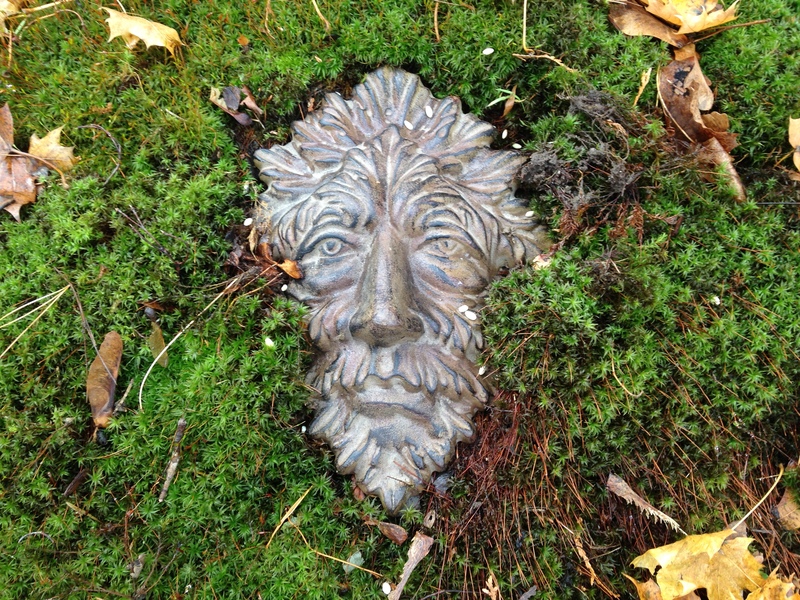 I tend the moss, and encourage it to spread, but that’s about it, so when I suggested to my wife that I might take the iron face outside to put it in the moss to dedicate the shrine to Poseidon Phytalmius, she was quite agreeable. What I didn’t expect is how incredibly right it would look — and feel — when I did so today. 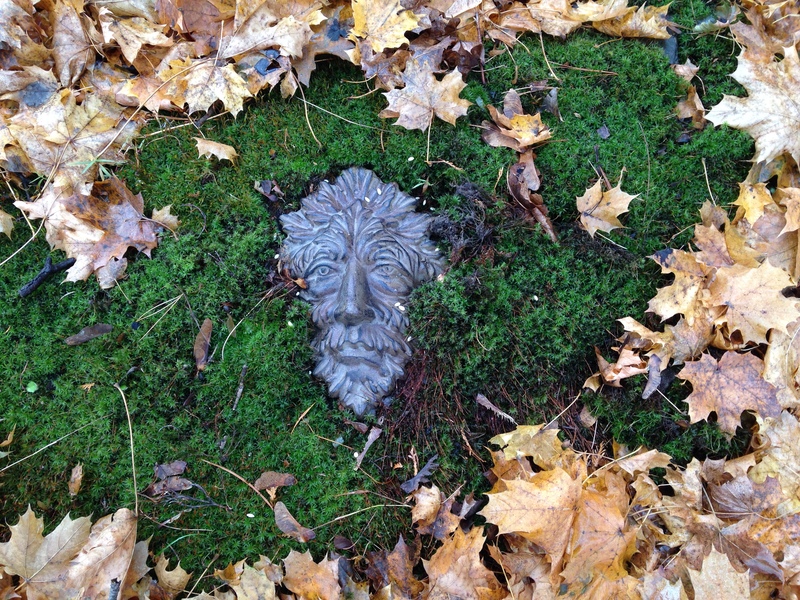 The face just settled into the opening created when I removed a pile of stones which I’d placed there previously. I moved one small tuft atop his cheek, and there it was. I stood up from my ministrations to look at my work, and a deep sense of satisfaction — of rightness — all but bowled me over. Seeing him surrounded by leaves, I understood that I should construct festivals to honor his sleeping under the leaves, and for the time of uncovering in the spring. The spot is also adjacent to the front door of the house which, as is so often the case in my country, is not the primary egress, but it is used, and never had a divine presence nearby until now. (My Hermes shrine stands at the crossroads near the most-used door.) It feels like I’m just realizing that he was trying to reach out long, long before I started paying attention to this (okay, any) part of my ancestry. What this means in full, will likely take some time to understand, but my appreciation for the subtlety and patience of Poseidon are redoubled by this simple experience. No doubt there were times in my life that I would point to this as proof of the rightness of my theological stance, which might have been pantheist, or monist, or panentheist, or some other complicated word to express a sort of connectedness that once felt true to me. Of course, that perspective is almost certainly as entirely true as what I feel now, which is that this is proof that the individual god Poseidon simply was trying to find the right face and right message for me. 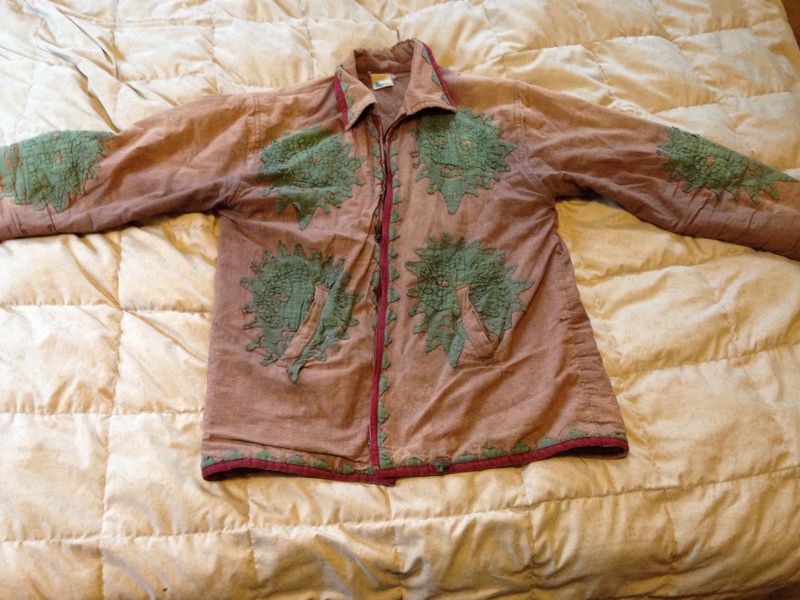 And the fact that my Green Man jacket continues to be a hit doesn’t hurt. There’s a tree in my yard, under which I started a moss garden when we first moved here a few years ago. After I began practicing Hellenismos, I got the sense that this spot is sacred to Artemis, but other than an occasional libation, my tending did not change overmuch for quite some time. This summer, though, I realized that one of the stones that I’d placed there was incredibly level on the top, and could support a statue, but nothing of more than about 12″ in height. 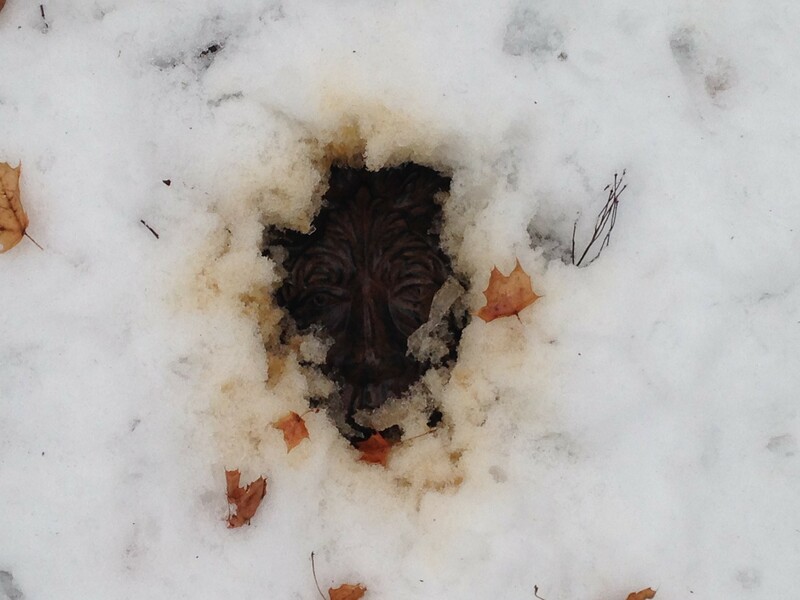 Finding a statue that small, which is made to withstand the elements, is no minor task. I have trolled the series of tubes, I have asked in all the Hellenic groups in which I participate, I have posed careful questions to everyone I personally know who might collect such statuary. There’s a cement caster not all that far from my home, one who uses traditional Italian methods, but he has no interest in adding more “classical” material to this repertoire. Instead, he offered me a very nice Buddha. Eventually I discovered a particularly reputable vendor online, and for once, the response to my simple question, “Can this be safely displayed outside?” was answered in the positive. The shipping from Greece was more than the statue itself, but it was more than worth it. The time waiting for its arrival was weeks, but that was not unexpected. What was unexpected, though, was that the carefully-packed goddess had nevertheless sustained damage. Her golden bow had been wrenched from her hand, and the golden arrow in the other was sadly bent. The tail of her companion deer, as well as the fletchings from the arrows in the quiver upon her back, were broken off. The seller behaved in a manner most professional: I sent him pictures of the damage, he refunded the purchase price with shipping right away. If anything, I am more likely to buy from him again than ever. But what to do with my broken goddess? My hands are not so skilled with tools and steady for fine work to make it likely I could restore it fully to its former glory. And should I make the attempt, what adhesive might I use that could withstand the snow and rain of this outdoor shrine? 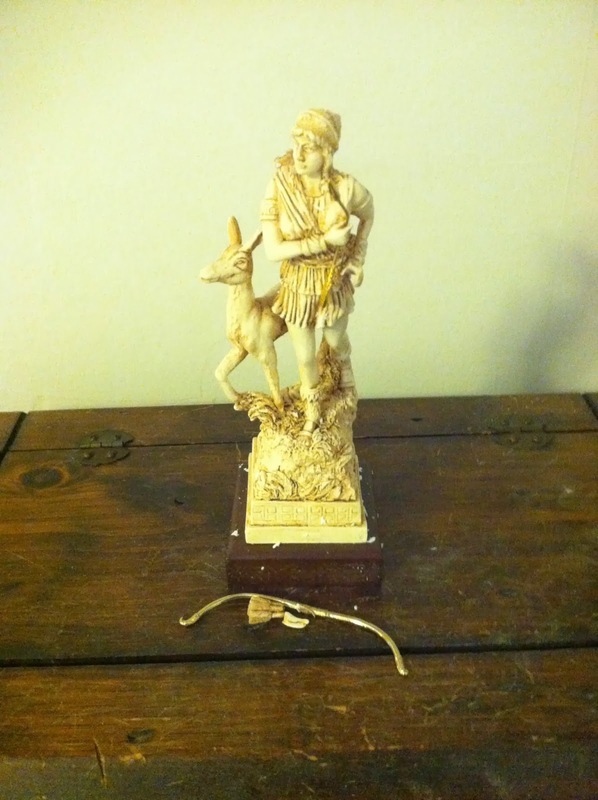 And perhaps more importantly, should I determine I cannot repair this statue, how should I best dispose of it? This morning I was jarred awake . . . by a jar. I’ve been preparing a Ktesios jar, which is a shrine and offering vessel to Zeus Ktêsios, he who keeps the pantry full and abundance at hand. 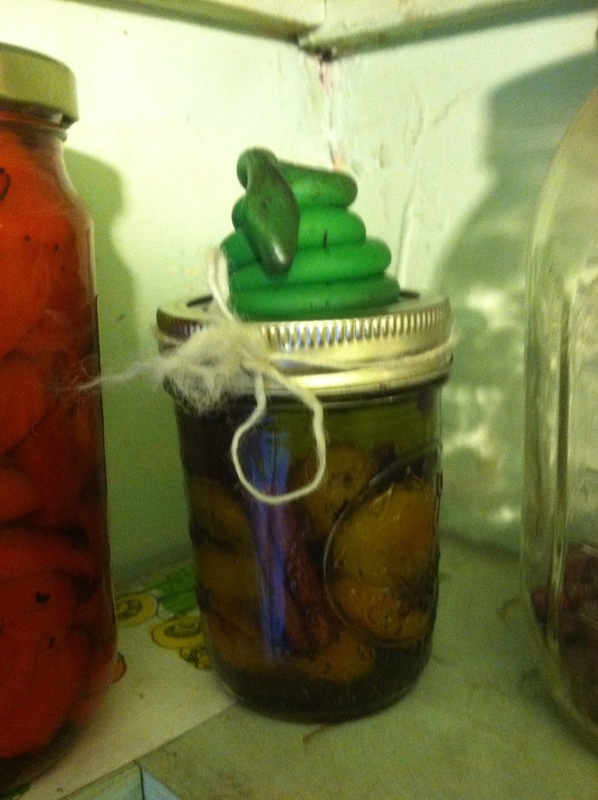 Yesterday I made a snake out of polymer clay and baked it onto the jar’s top; Zeus Ktêsios appears in the form of a snake. The jar itself should be filled with herbs, dried fruits, perhaps honey or vinegar; the exact composition varies by household but generally it’s foodstuffs that offer protection and abundance. I’ve read about people putting in grains or fully-prepared foods, as well. Then it gets placed in the pantry, or someplace appropriate if the home doesn’t have a pantry . . . I am fortunate in that my home does, so I don’t have to think so much. When I went to sleep I had decided that I should wait until the fifth of the next month to fill the jar, since that’s his sacred day, or at least do so on a Thursday, the fifth day of the week. But this morning, I was, as I say, jarred awake by a very clear message: you will make this offering today. Today being Easter, most businesses are closed, so I accepted that the first offering would be from existing stores. Dried apricots? Check. Cardamom seeds, a cinnamon stick, and several herbs and spices including whole sage joined the mix, and olive oil filled the remainder. I tied it up with white wool which my wife spun; she does not follow Hellenismos, so it’s always a pleasure to find ways to merge our beliefs. This is a skeptical, secular world. There have been times when I have gone months without thinking about my religion, and years without practicing it. To get such a clear insight into the will of my gods is thrilling, to say the least. It takes the chances of me slipping into secularism and divides them by zero. I’d love to find out how gods make their will known to other Pagans. Some things I learn the hard way. Okay, lots of things. Take the power of barley, for example. Khaire O Hermes. Eleibometha soi. I have poured a libation to you. Leipsometha soi. I do pour a libation to you. Leibometha soi. I will pour a libation to you. Kharin ekhomen soi. I give you thanks. Khaire! I also used barley. The grain can be used as an offering, but it can also be used to mark an offering for a particular god. 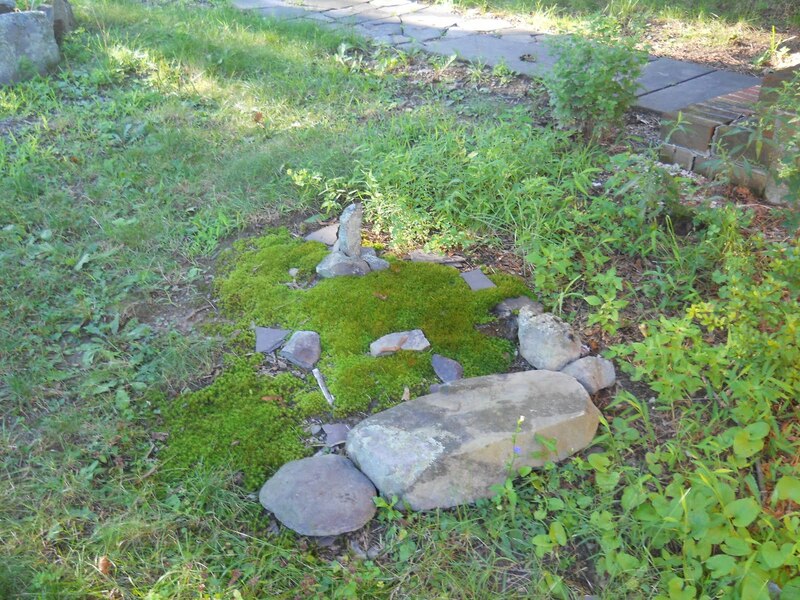 I sprinkled it on the altar, the upright stones, the moss gardens, and the houseplants I put out for the summer. Christmas cactus, before it was offered up. Alas and alack, the barley on my Christmas cactus marked it as an offering, rather than simply as sacred. The plant is enjoying its second summer outside, but never before did a deer think it a tasty snack. It was significantly trimmed back, to say the least, and I will be more thoughtful about how I use barley in the future. I think the cactus got the trim it probably needed, although it may disagree. 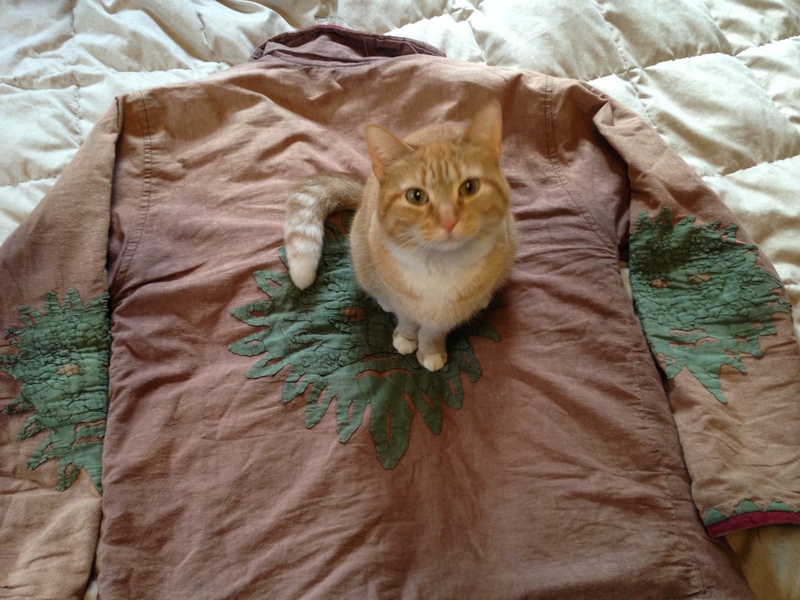 I certainly hope Artemis is pleased with the offering. In other news, this morning I found my herm covered in centipedes. One of the little guys was walking about with one of its fellows atop its back – is that still called piggyback? Hermes is an interesting god, since he was still and solid long before he was fleet and nimble, but he retains the qualities of both. I like having him around. Every year that I make the journey, I get inspired by the Lughnasad festival at Laurelin Retreat. It’s hosted by the Laurelin Community on 56 acres of land owned by Reverend Kirk White (someone really needs to upload a new image for that page). This year I came home thinking about the various shrines and sacred places on that land, and how I might emulate that at home. It’s tough to do more than emulation when you’ve got a quarter acre and the place you were camping is 56 acres of fields and woodlands. 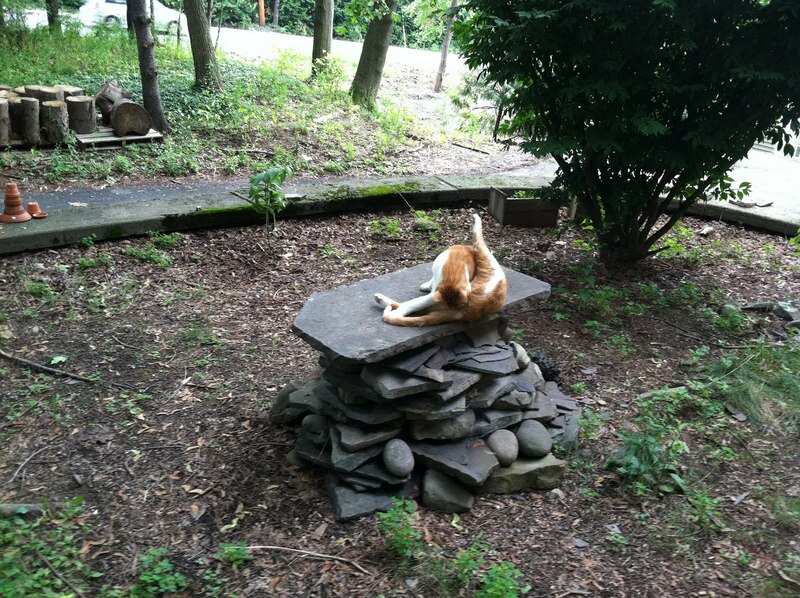 Cats have different uses for altars than humans do. We already have a really ace stone altar, which is being used for all manner of rituals. I like the fact that the cats find it an appealing place to worship the sun, but I probably won’t use it in quite the same ways. I regularly sprinkle khernips (purified water) on the altar, which should cover all the bases. 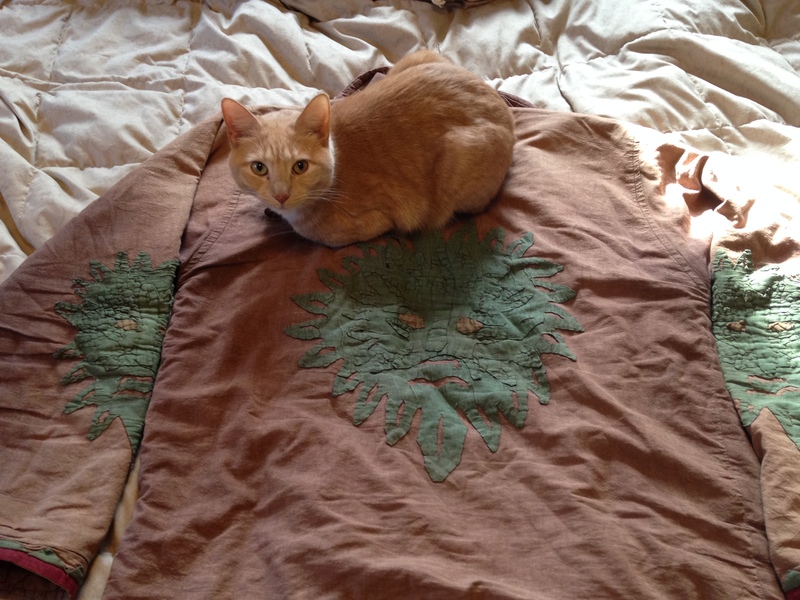 Any gods (or worshipers) who are bothered by kitty activity should be satisfied by purification. However, I don’t think we have anyone with that concern here. 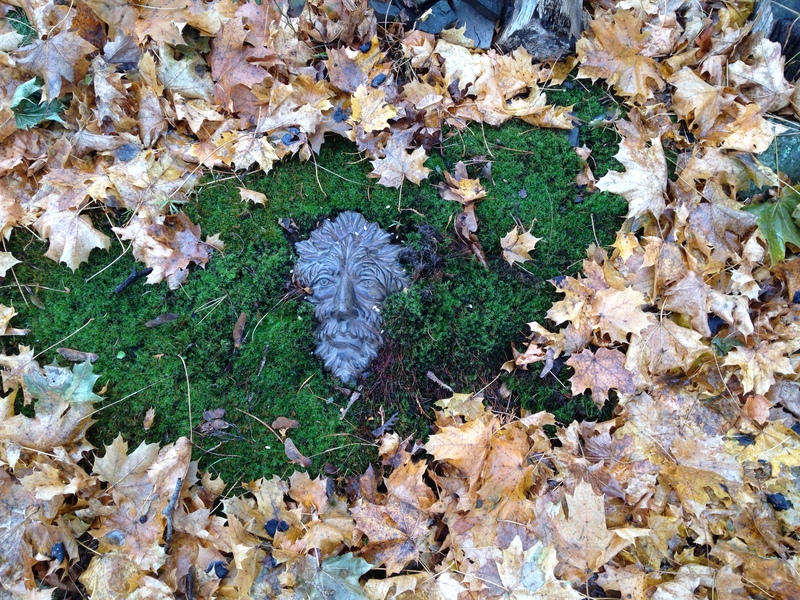 Besides the altar, there are a couple of moss gardens which have taken a more sacred aspect. One of them I started on purpose, and it’s been a slow process. I’ve gathered stones from various places, along with some logs and bark, and encouraged the moss along. After I killed a deer with my car a few weeks ago I asked Artemis for some guidance, and she told me I ought to honor her on purpose rather than accidentally like that. I’ve taken to sprinkling the moss garden with khernips and barley in her name. There’s another patch of moss on the other side of the yard, and I’ve been encouraging it by plucking out the adjacent grass and clearing it of competition like clover. It’s done really well since I first delineated it with some stones, outgrowing the original ring. I just found a stone which had been upright in an old wall, and grew lichen on its upper end. It clearly needed to remain upright, so I added it here. I still want to complete a new ring of border stones. 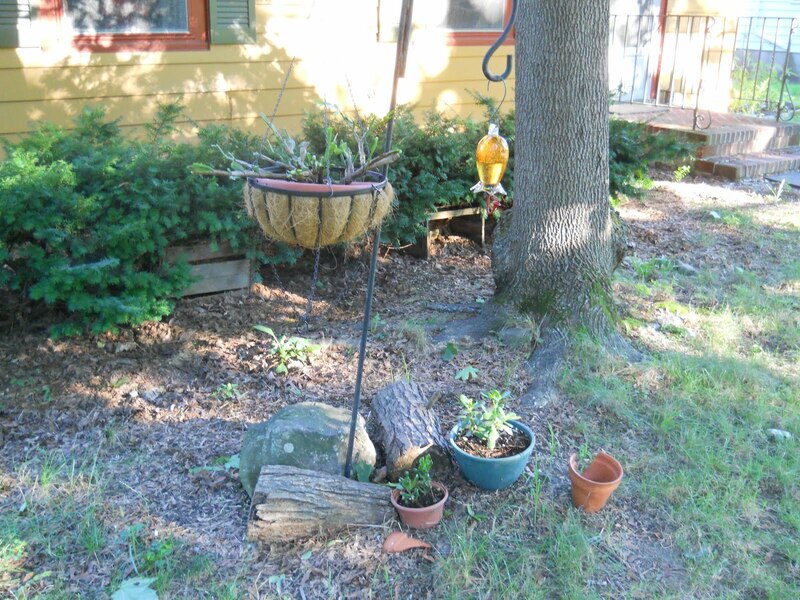 I added another, slightly larger upright stone at the crossroads of two paths in the yard. It’s a herm, a traditional shrine to Hermes. I’ve been thinking a lot about herms and divination, and having one here will allow me a chance to experiment. We have a rock garden and a vegetable garden. That kind of effort focused on beauty and life is always going to be sacred, even if it’s not dedicated to a specific deity. So I’ve been working on this plan for several years, and only now just realized it. More pictures on the True Pagan Warrior Facebook page.